The ruins of Teotihuacan are situated north-west of Ciudad de Mexico over a large green plain. This old metropolis lasted longer than Imperial Rome and was the biggest city of the Americas for about 700 years. 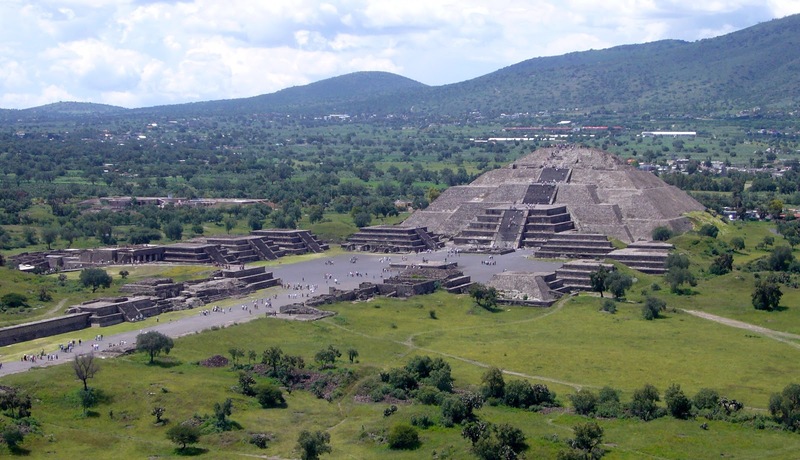 While Europe was though the Dark Ages the Teotihuacan culture shined in Central America. Researchers don't know much about the people that built this great city, it is presumed that it was abandoned a few centuries after reaching it's peak because of an epidemic or overpopulation. 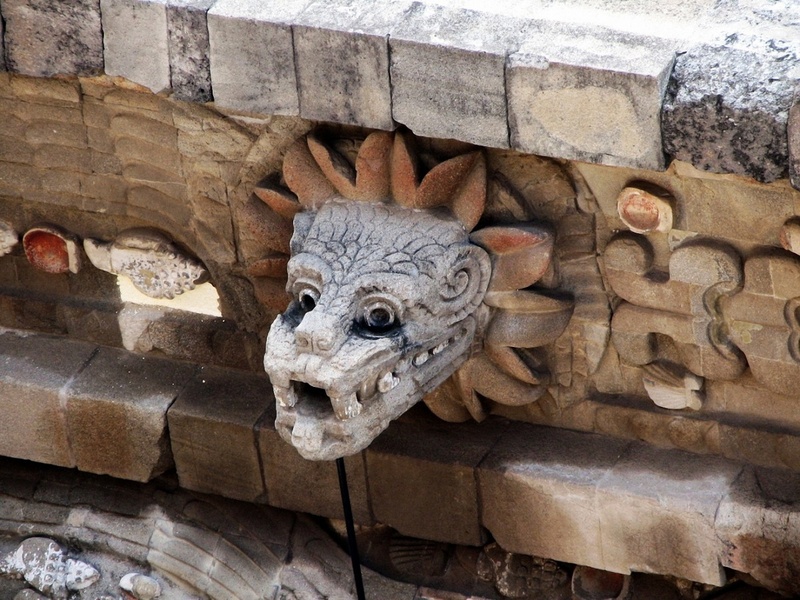 Mighty palaces and temples were preserved with great mural paintings and statues. The rulers of the metropolis excelled in architecture and astronomy and had a complex religious system. Many of the building from the Avenue of the Dead, a star aligned road, are now reconstructed and some of them even have the original colorful facade. In the southern part of the avenue La Citadela is situated, the old administrative center of Teotihuacan and royal court for many unknown kings. 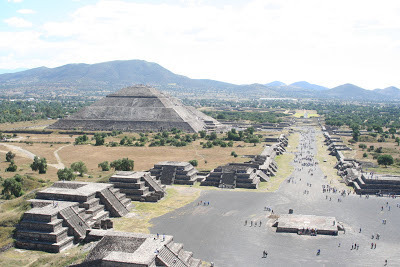 Great examples of Teotihuacan architecture are also the two pyramids: the Pyramid of the Sun and the Pyramid of the Moon. The Pyramid of the Sun is one of the biggest in the world, can be easily climbed and has a vast number of tunnels underneath. 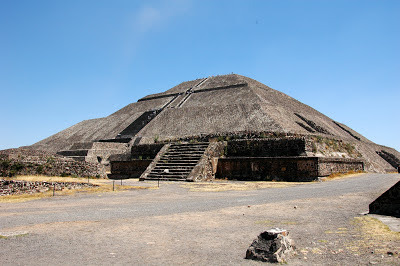 The pyramid also had a housing function, in the eastern side there are many restored apartments well worth the visit.